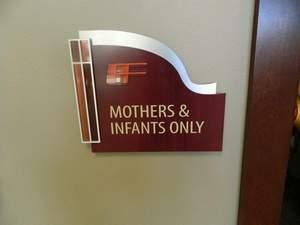 Faith Fellowship Church in Marshfield, Wisconsin provides a private, comfortable room available for nursing mothers attending services or visiting. The Church created a private room that includes a fully-equipped baby changing station, comfortable padded glider rocking chairs. Moms can even listen to the church service while nursing by soft audio feeding directly into the room speakers.